In January 2016, BOYLE started work on the Cross Charlotte Trail. What an amazing amenity for Charlotte this will be! 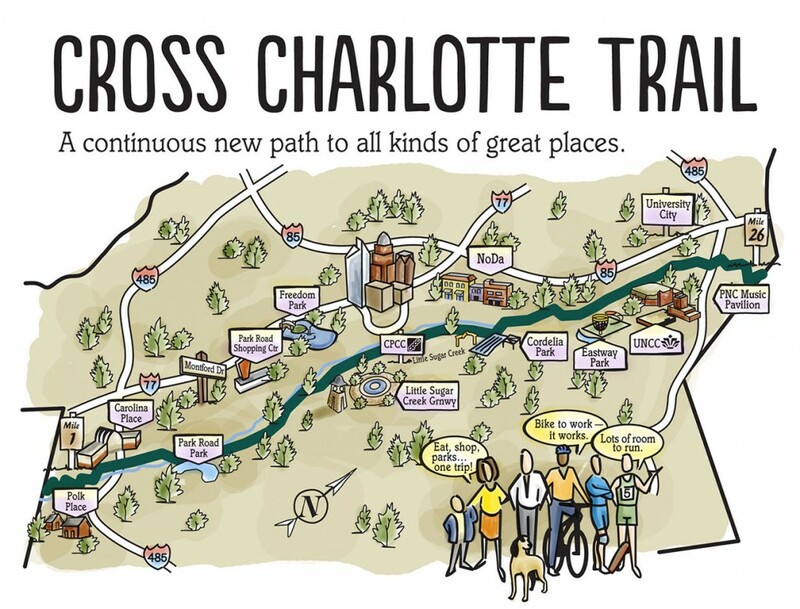 The City of Charlotte is partnering with Mecklenburg County to create a pedestrian and bike-friendly trail along creek beds stretching from Pineville in the south, through the city, to the campus of UNCC.